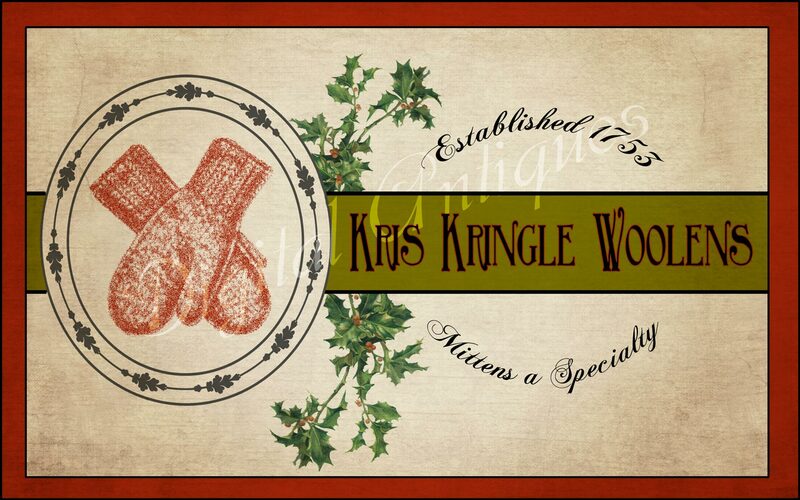 Have a Merry and Bright Holiday! Christmas will be here before we know it, and I have some new Christmas images in my Etsy shop to help with preparation. Easy, just download, print and cut out, because easy is a good thing, especially at this time of year. 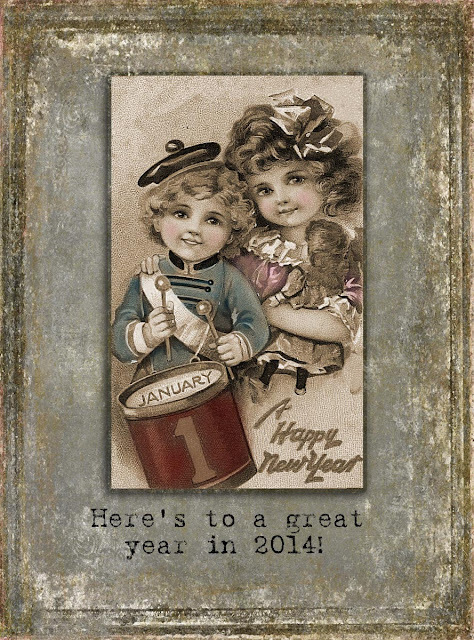 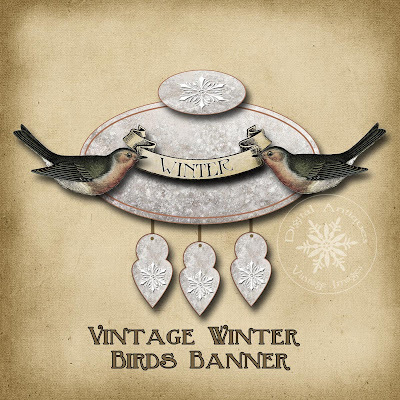 This Vintage Style Mitten Label is great for cards or tags. 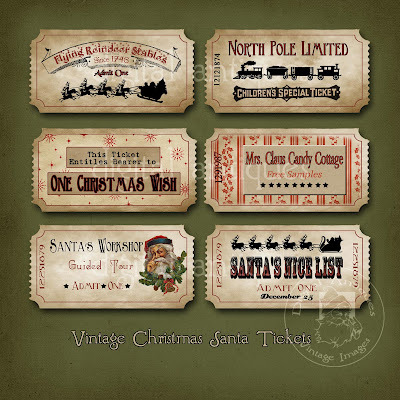 Use these special Christmas Tickets for cards or tags. 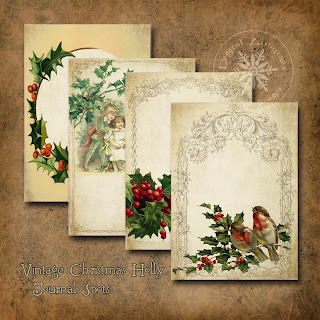 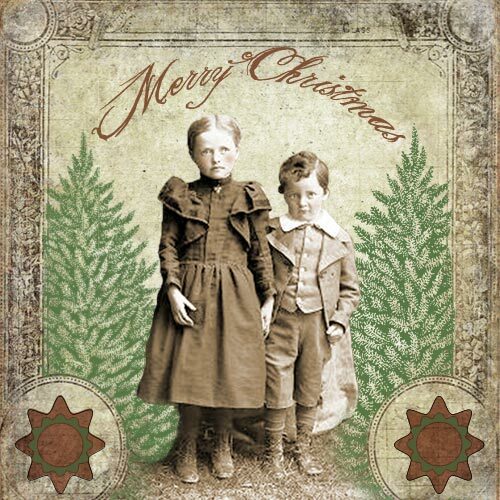 Christmas Holly Journal Spots, great for scrapbooking, invitations, and cards. 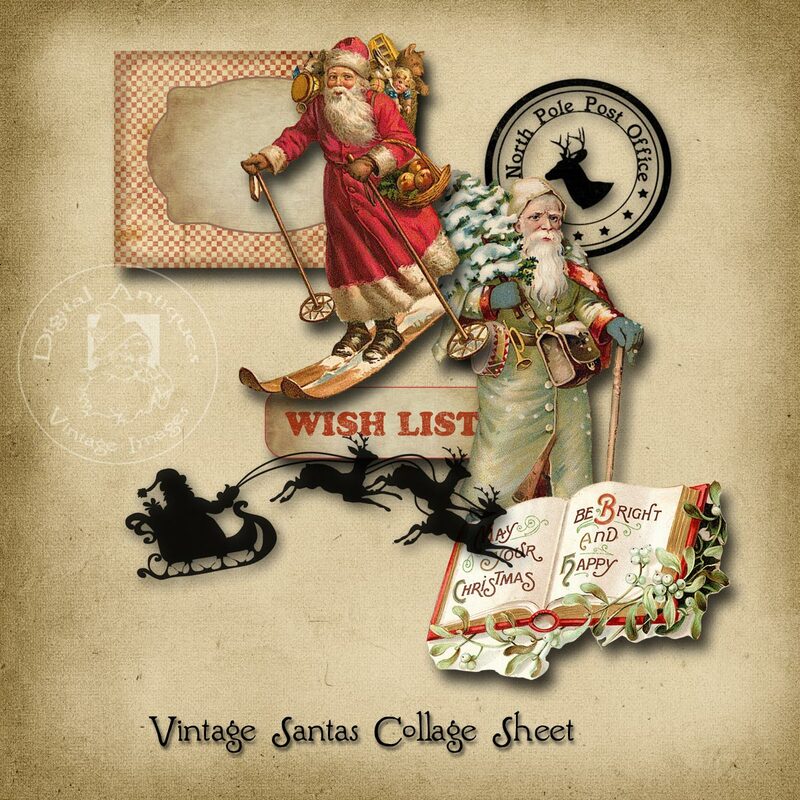 Lots of Vintage Santas and Christmas in this Collage Sheet. so many ways, not just during the Holidays. 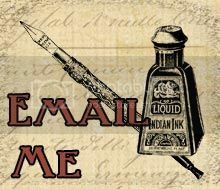 All these, plus lots more choices, are available for Instant Download in my Etsy Shop, Digital Antiques. 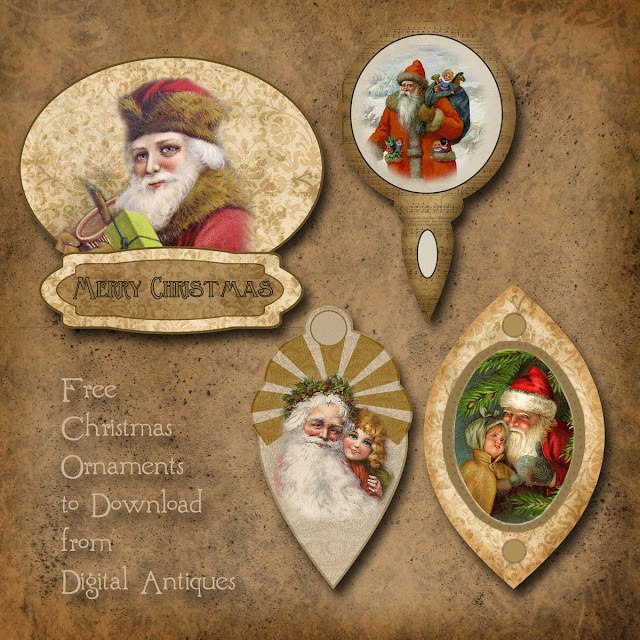 This set of Vintage Inspired Christmas Ornaments is a little gift for you, in the spirit of the Season. 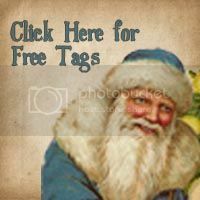 Download a print ready copy by clicking on the tab in the right sidebar. I hope you'll enjoy these and have fun making some for your Christmas.